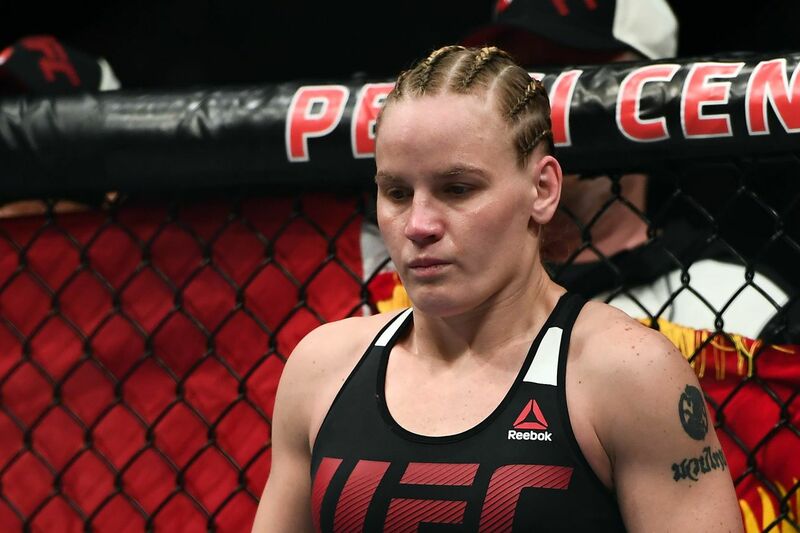 It was a disappointing weekend for UFC women’s bantamweight contender Valentina Shevchenko, who saw her title shot opposite champion Amanda Nunes tonight (Sat., July 8, 2017) at UFC 213 live on pay-per-view (PPV) from inside T-Mobile Arena in Las Vegas, Nevada, wash away after “Lioness” was pulled from the main event due to illness. Nunes had previously defeated Shevchenko back at UFC 196 via unanimous decision. Shevchenko took to social media to release her first statement after finding out her rematch with Nunes was cancelled. Today I am 100% ready for this fight. During the last 3 months of training I did everything to be in my best shape for this fight. Nunes couldn’t cut weight correctly and was hospitalized. She wanted to cut weight and recover rapidly to have the advantage. The end result, everything went wrong. Even though she was medically cleared to fight, she backed out. This fight was originally offered to take place in April and she would not accept then. I did my part and am very upset that I can’t fight for the title today on this great event. I am even more upset for all my dear fans who support me every time throughout the world and to those who traveled to see me fight here in Las Vegas live. I feel frustrated about what happened but I won’t relax, will not put down energy in my preparation, and will wait until the UFC gives us another date for the fight. This is just terrible news for the 29-year-old Russian striker, who captured back-to-back wins over Holly Holm and Julianna Pena to get to this point. UFC president Dana White was working on having UFC women’s strawweight champion Joanna Jedrzejczyk step up on super short notice and challenge “Bullet,” but there simply wasn’t enough time to make it happen. Instead, Shevchenko will have to fly back home knowing she never got her chance to fight for UFC gold during International Fight Week. She’ll most likely have her rematch with Nunes rescheduled for later this year, but this has to take a little air out of her sails. MMAmania.com will deliver LIVE round-by-round, blow-by-blow coverage of the entire UFC 213 fight card, starting with the Fight Pass “Prelims” matches online, which are scheduled to begin at 7 p.m. ET, then the remaining undercard balance on FOX Sports 1 at 8 p.m. ET, before the PPV main card start time at 10 p.m. ET.